How do I install and configure the default SQL-RD Database Installation? The first time you open SQL-RD, you will need to configure the SQL-RD database. 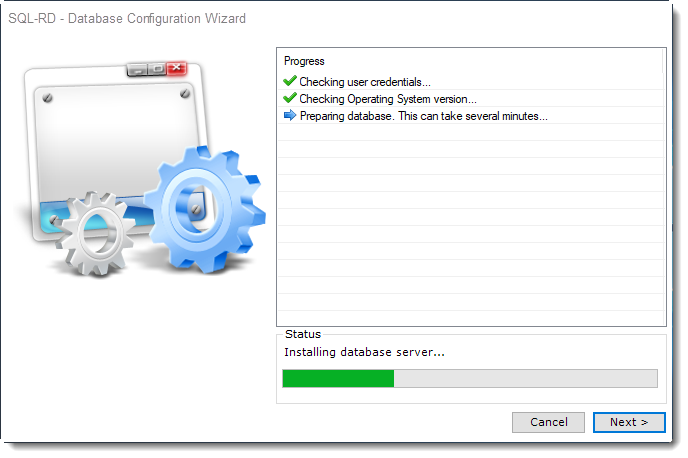 This article describes the default database installation process. 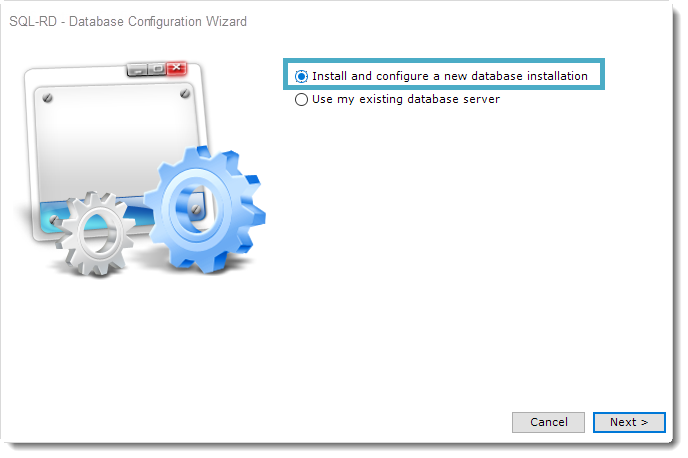 Select Install and configure a new database installation and click on the Next. The database will now be created. This process can take up 20 minutes. 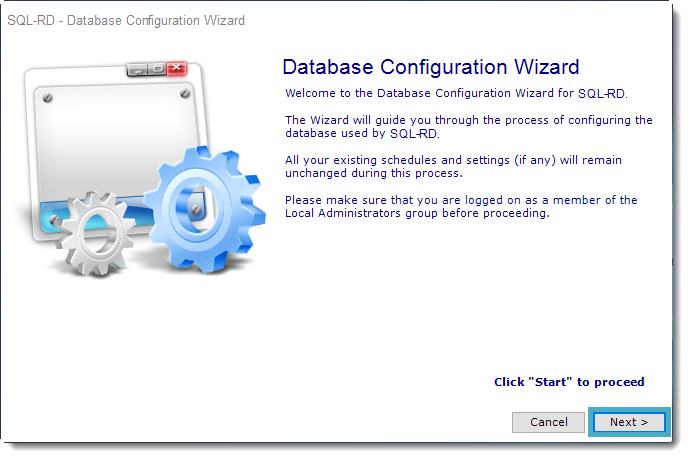 If the configuration fails, SQL-RD will offer to install a local Access database. SQL-RD will operate in this instance. However, advanced users will likely prefer to run SQL-RD using the SQL Server install. 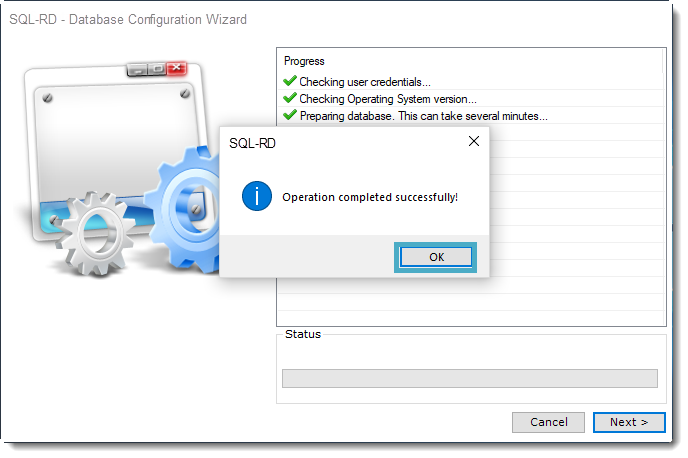 If the configuration fails and you would like to use the SQL Server install, verify that you have met all the SQL-RD prerequisites. If successful, pop-up will appear: Operation completed successfully. Click OK.
Click Finish to complete the database configuration. 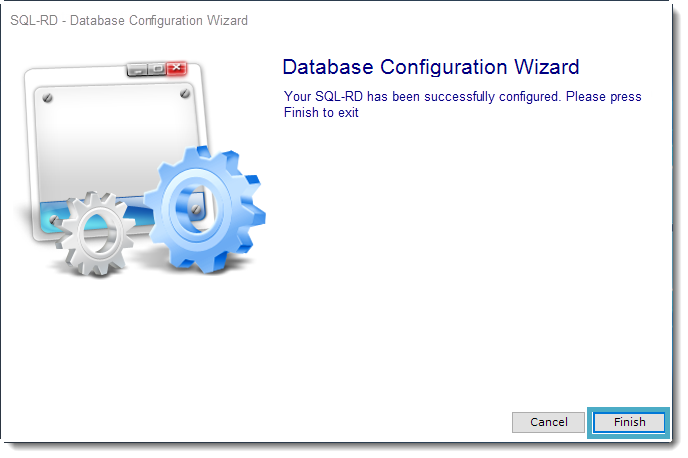 The SQL-RD installation and database configuration is now complete.